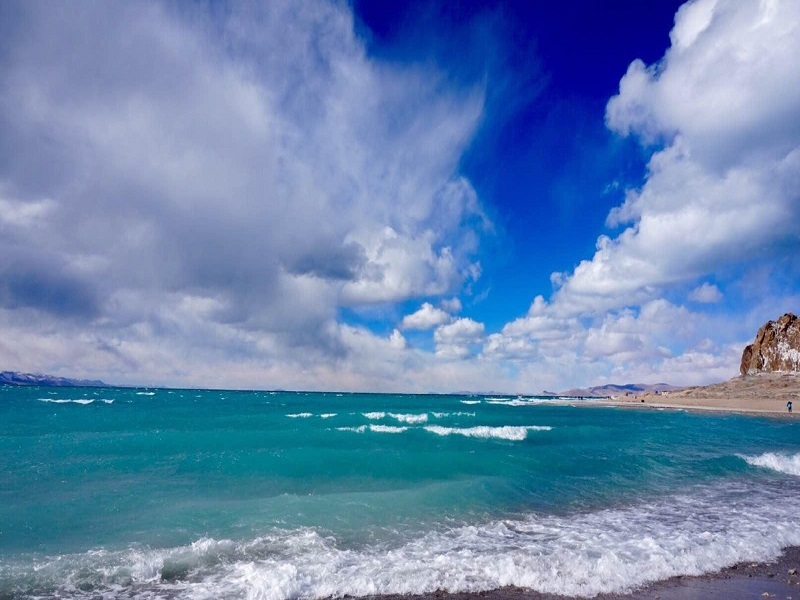 Located in the central regions Tibet, Namtso lake is the second largest lake on this snow-covered plateau. Namtso means a lake in the heaven. According to local folklore, the lake got its name from its high position which made it seems to touch the sky. 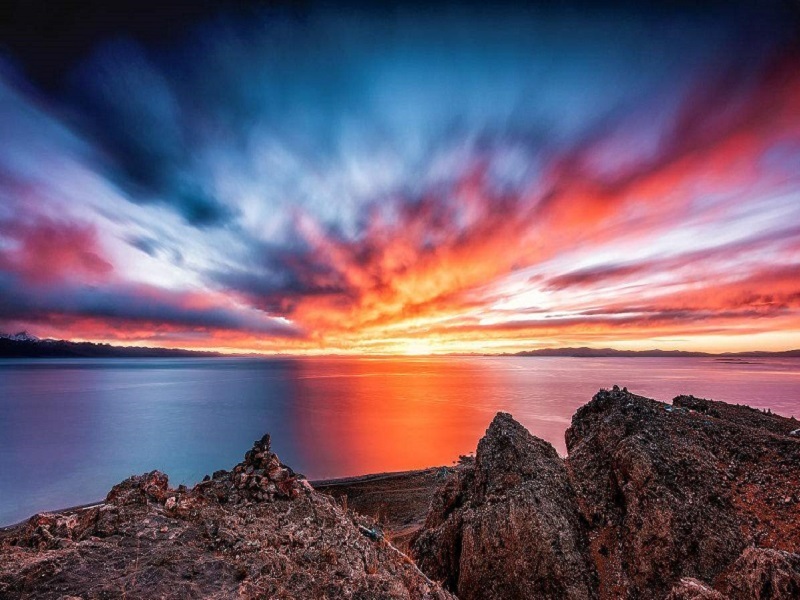 Namtso lake lies to the west of Lhasa in Tibet at a distance of nearly 240 km. As the highest large lake in the world, it likes a girl sleeping in a place with an elevation of 4,718 meters and with an area of 1,920 square kilometers. Namtso lake like a huge precious mirror inserted on the vast grassland of North Tibet. The water in the lake is very pure and presented fantastic sky blue. There are three main islands stood in the lake. A variety of birds could be found in this pure land due to the peaceful environment there. When summer comes, flocks of wild ducks will fly there and live around the lake. Many rare wild animals could be found in this area such as bears, wild yaks, foxes and some special fishes with little fish scale. Also, it’s a place abounds with some rare medicinal herbs like Cordyceps Sinensis, Fritillaria, and Snow Lotus. As the top 3 holy lake in Tibet and the greatest lake revered by Bonpo, Namtso lake is a holy place for Buddhists. It’s said to be blessed by Chakrasamvara who is a Buddha in Tantra of Tibetan Buddhism. The pilgrims consider it as one of the top four most powerful lakes and come to this famous shrine for their faith every year. 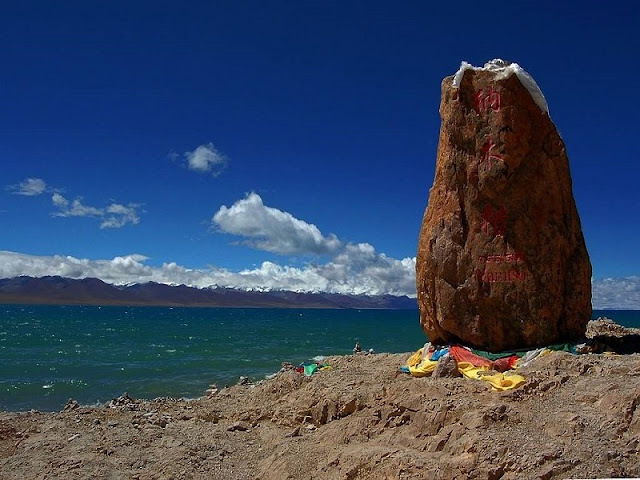 Accord to legend, Namtso lake is a place to help people find their destiny. It’s said that when the chosen ones come and look at the lake from nearby mountains, they could get some visional images of their future from the surface of the lake. From a long time ago, Namtso lake had been a place for augury in Tibetan Buddhism. 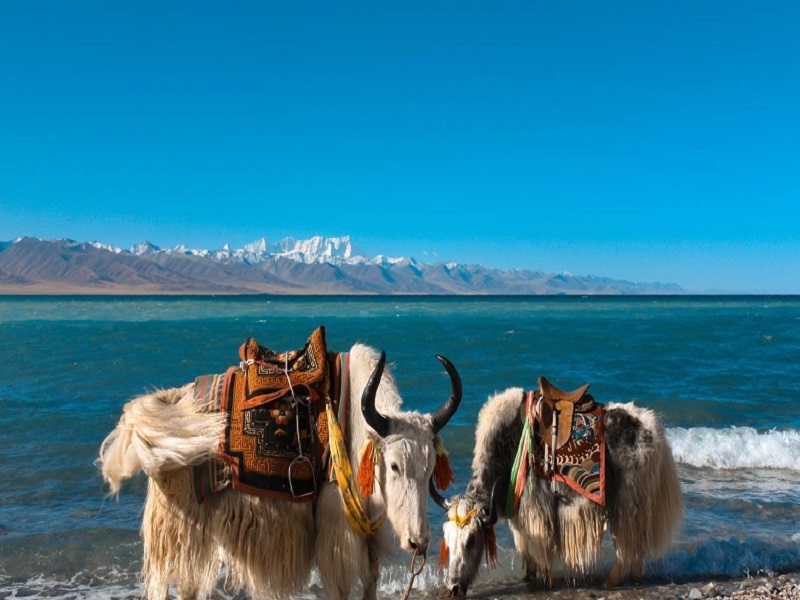 When the weather starts to turn warm, many Tibetan monks and pilgrims will go on a pilgrimage around the lake and hope to get messages from mysterious being. Also, they usually would like to drop a small stone into the lake to express love and respect. To the south and east of the lake lies Mount Kailash and Tanggula Mountains respectively. In the myth of Tibet, Namtso is the daughter of Indra and the wife of Tanggula. She is usually described to a God who ride on a dragon with cloud surrounded, holding a wand in right hand and a magic mirror in left one. While Tanggula shows the world with an appearance of a strong young man who rides on a white horse with helmet and holds a horsewhip and prayer beads in hand separately. As the top God in the northern Tibet, Tanggula possesses vast land and countless treasures. In the Tibetan culture, Tanggula and Namtso are not only the most attractive sacred mountain and holy lake but also soul mates and lovers. Tanggula Mountains appears more magnificent against Namtso lake which is more beautiful with the mountain reflected in the water.